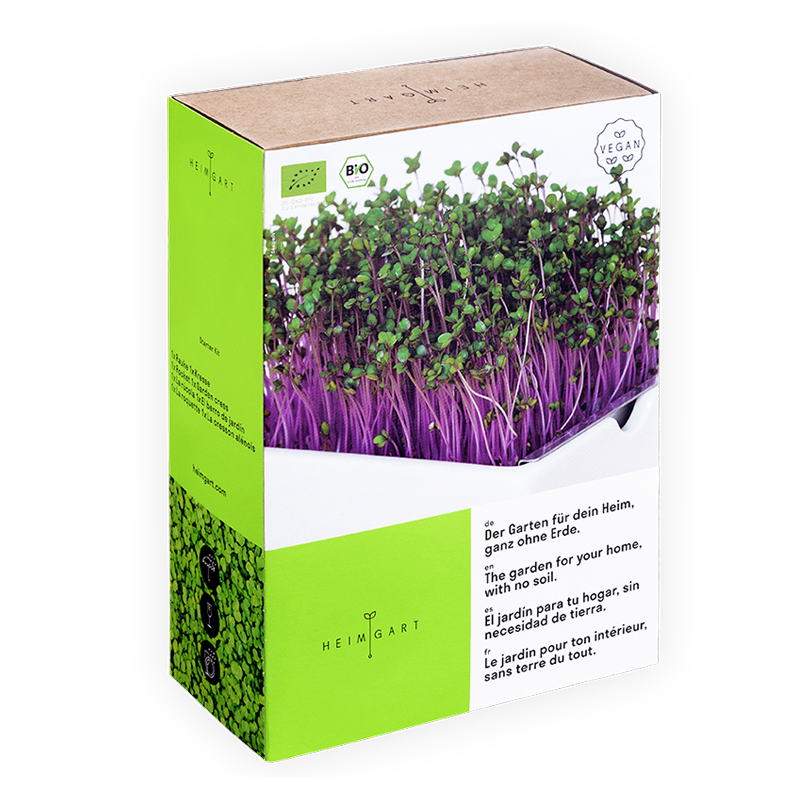 Heimgart is a special indoor farming system geared towards growing microgreens. Water it once, and with no earth whatsoever, after just a few days the first shoots begin to sprout. 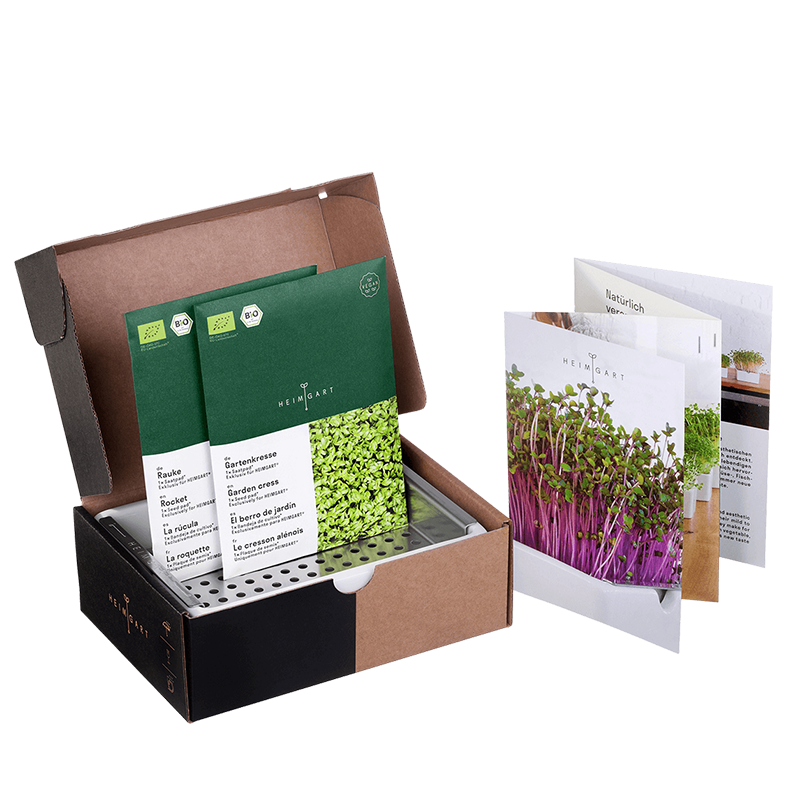 Here you will find the different microgreen varieties! 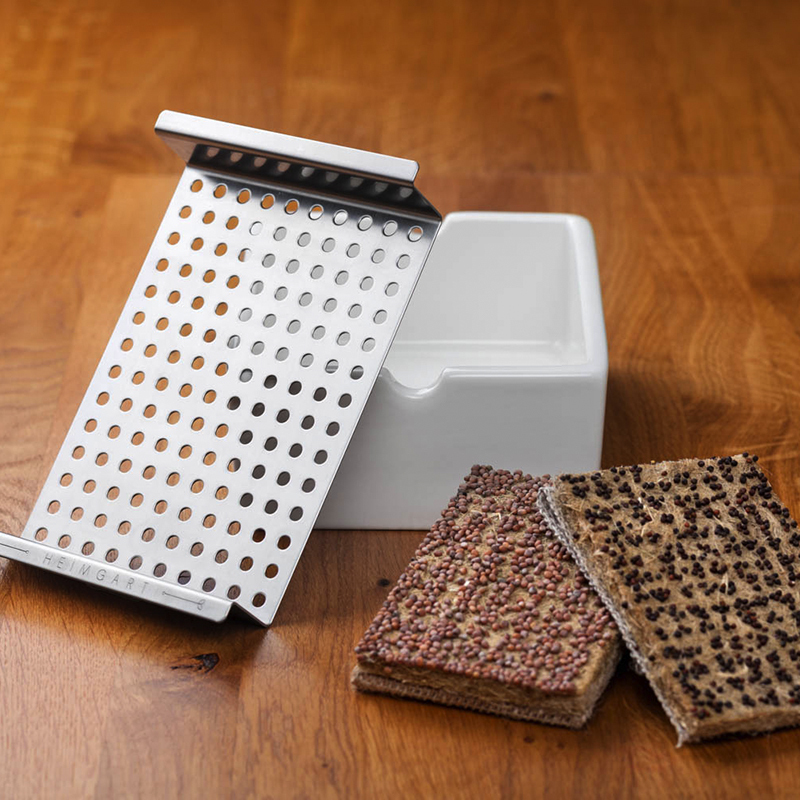 All components of Heimgart – from the sprouting bowl to the seed pad – are produced and processed in Germany. The seeds are certified organic like the whole seed pad, which is made of natural fibre unwovens with a linen wick. The bowl measurements are: 176x134x60mm. We developed Heimgart with a great love for detail. 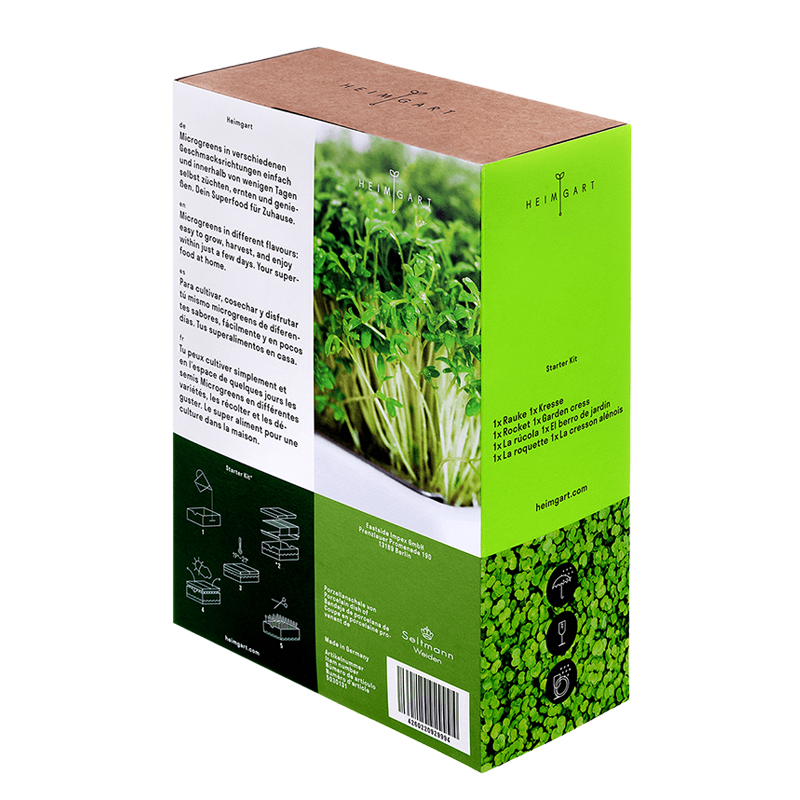 All microgreens components are harmonised with one another in such a way as to guarantee the highest possible growth success and crop yield. You can read about how high the respective harvest yields are for the different microgreen varieties directly on the individual varieties. Microgreens are veritable power plants. They are larger than sprouts, smaller than baby leaves and are jam-packed with vitamins, minerals and secondary plant substances. You can find out exactly how much each variety contains on the variety in question. Pour some water into the porcelain bowl that was developed specifically for Heimgart by Seltmann Weiden. Then place the seed pads on the stainless steel insert designed for this purpose, lay the growing cover over it and wait. 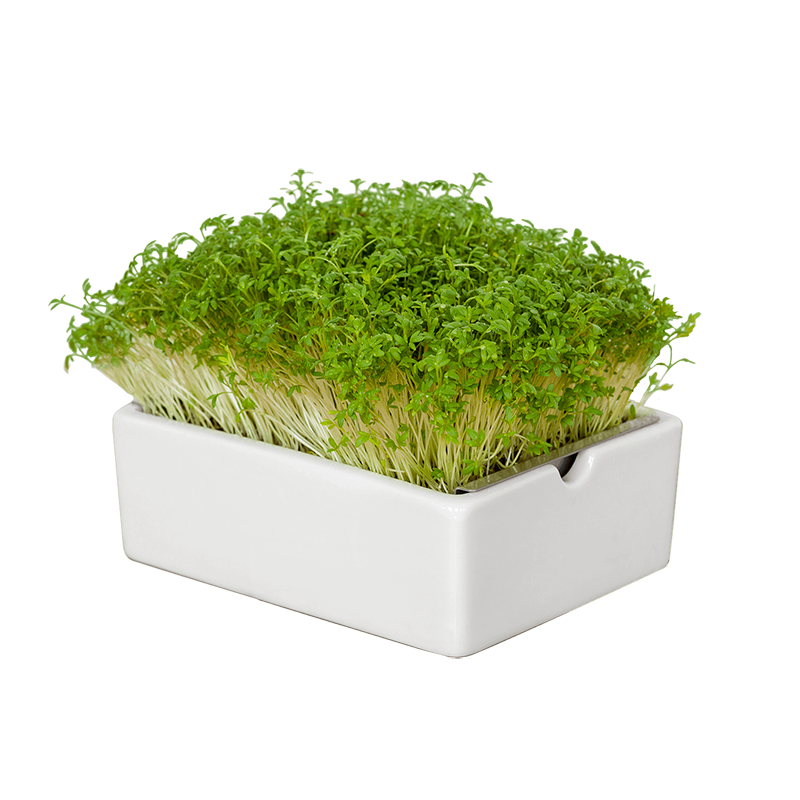 The microgreens do the rest all on their own – no more watering is necessary. 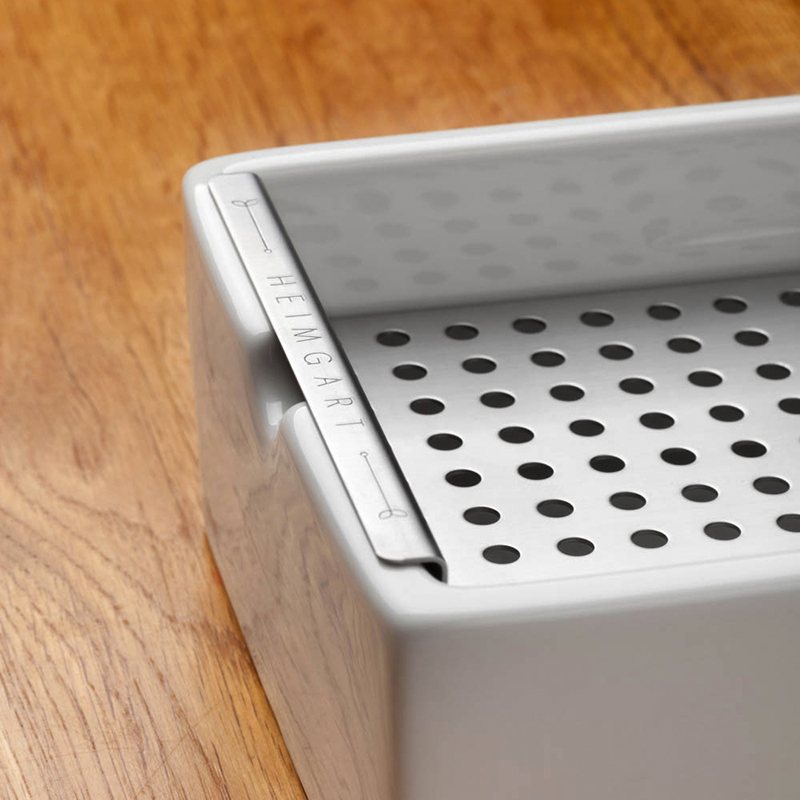 Moreover the sprouting bowl and insert can be used over and over and are dishwasher-proof. The seed pads can be composted or disposed of in the organic waste bin.